Building 54’s | Siller Helicopters, Inc.
After more than 18 months of dedicated efforts, Siller Helicopters, Inc. announced it has completed its second purpose-built Sikorsky CH-54A Tarhe, joining a select handful of companies around the world with the expertise, support staff and resources to reconstruct these rare aircraft. With the new addition, Siller Helicopters expects to significantly expand operations abroad, leveraging its increased capabilities as far away as Australia. 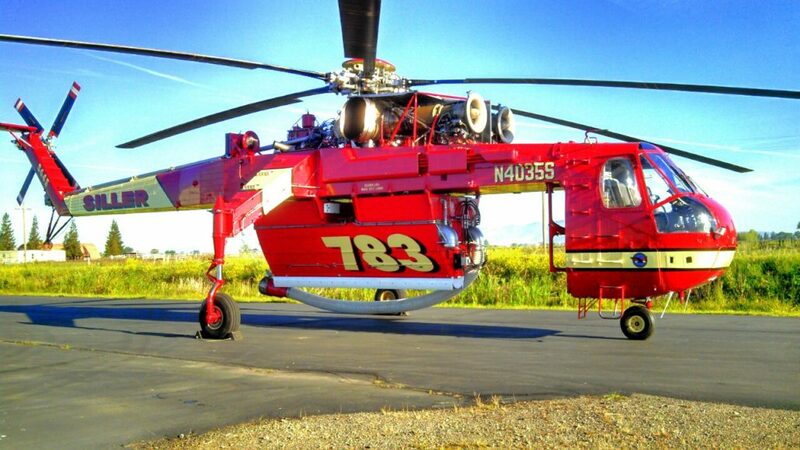 Certified flight ready, the new CH-54A officially began its career on July 4, immediately joining efforts to combat the 2015 fire season, one of the most devastating years since 1960. 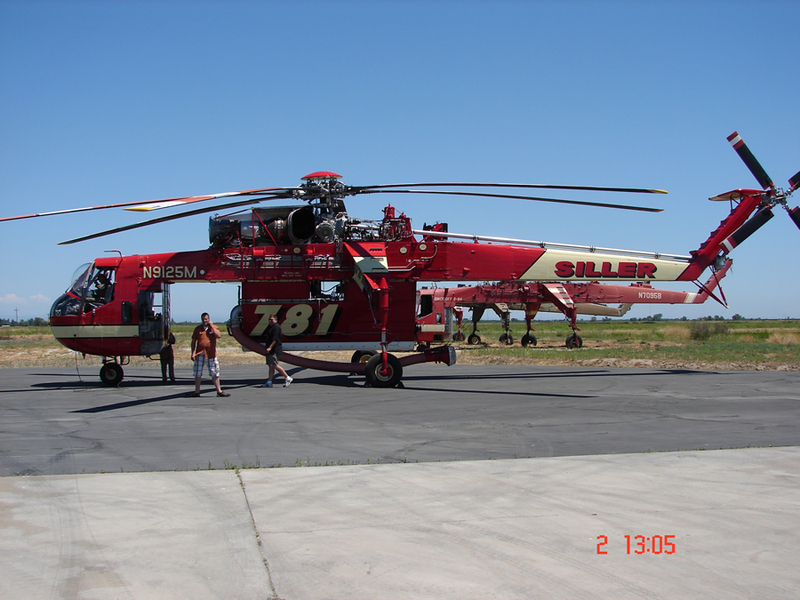 The newly completed aircraft significantly increased Siller Helicopters’ operational capabilities, having allowed the company to operate out of four United States Forest Service host bases simultaneously, fighting wildfires across California, Oregon, and Idaho. An expanded footprint is particularly important for the expanding overseas market, where logistical coordination requires precise execution. When coupled with mobile support assets, Siller aircraft and their teams can be effectively deployed as far away as Australia. 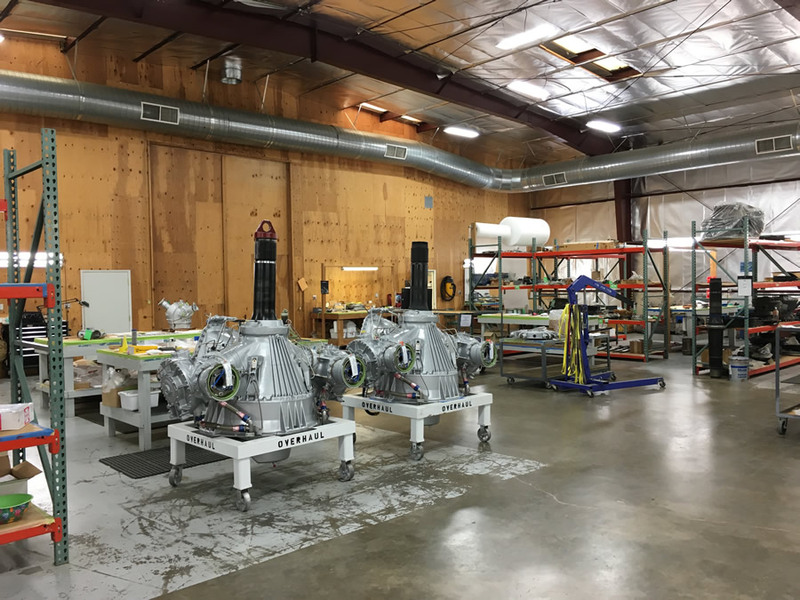 This expanded footprint places the Yuba City, Cal., based company firmly among heavy-lift industry’s upper echelon, extending their global reach and further establishing itself as one of the only turnkey Tarhe and Skycrane operators in the world. Constructing a CH-54A is an incredibly complex endeavor. Aircraft part scarcity, the mechanical expertise required to construct the frame and engine, and the support staff needed to maintain operational readiness, mean that few companies worldwide have the ability to complete this undertaking. Siller Helicopters is unique in actively maintaining all four. Although this most recent CH-54A rebuild officially launched in early 2013, the foundation needed to complete this project was set more than two decades ago. In the early 1990s the United States government held a small number of exclusive lot sales after the Tarhe was officially decommissioned from service. For the first (and only) time, helicopters from the US Army, Coast Guard and National Guard were auctioned off to private companies. During this time 90 percent of all existing CH-54A inventory was acquired, including seven aircraft by Siller Helicopters. Nearly all Tarhe aircraft, spare parts and engine components originate from this period of time. In April 2013, the 18-month build process began. Deep within Siller’s FAA-approved repair facility, mechanics stripped down the helicopter to its bare hulk, leaving only the core structure remaining. Innovative structural modifications were installed to the frame, reinforcing designated areas to improve safety and reliability. Next, the sheet metal fuselage was added, primed and painted, giving the Tarhe its distinct shape. 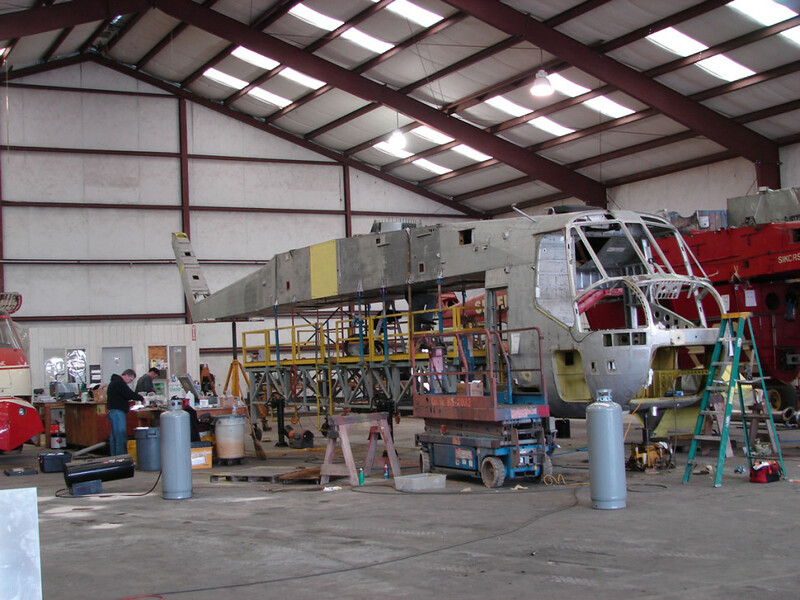 While the structural team assembled the frame, specialized mechanics worked to overhaul the Tarhe’s twin Pratt & Whitney turboshaft engines; main rotor head; main gear box as well as intermediate and tail gear boxes; and tail rotor head, each an exceptionally complex undertaking requiring specialized knowledge. 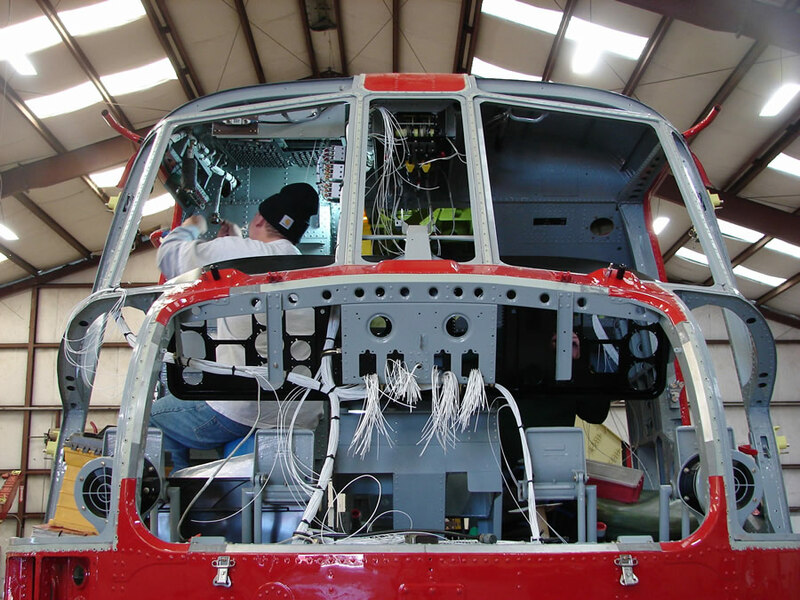 Siller Helicopter’s ability to rebuild these critical systems internally allowed for complete control throughout the overhaul process, ensuring all parts exceeded FAA safety and reliability regulations. The vast majority of internal components were sourced from Siller Helicopter’s expansive spare part inventory and several non-flight essential parts were fabricated in-house. In total, the internal rebuild and frame installation required more than four months of dedicated efforts to complete. The aircraft nearing completion, flight systems and electronics were added, requiring miles of wiring to run avionics, flight-control, navigation and communications. Over the past twenty years, Siller has incorporated a number of FAA-approved upgrades to the original aircraft design, enhancing reliability and safety. These modern technological advancements include an upgraded engine mounting system, rotor assembly fire shields, a new solid-state fuel system and E-model rotor blades. In June 2015, the new CH-54A was subjected to two weeks of comprehensive testing to assess all aspects of the aircraft. These exhaustive inspections examine the fuselage, engine, rotor, hydraulics, instruments, communications, as well as numerous secondary systems, ensuring all work flawlessly. In addition to standard FAA-regulated safety standards, Siller conducts internal checks requiring sign off by company mechanics and pilots, providing further oversight. The sheer scale of a project of this magnitude is remarkable. The resources, expertise and manpower required to resurrect this workhorse aircraft is an endeavor few could attempt, yet alone succeed in doing. In total, rebuilding this aircraft was the result of the coordinated efforts of many dedicated mechanics working more than 24,000 hours over 18 months. An archetypal heavy-lift helicopter, the legendary Sikorsky CH-54A Tarhe remains the workhorse for top-tier industrial aviation companies around the world. Designed by Sikorsky Aircraft for the United States Army in 1962, only 54 CH-54A’s were ever produced, making the aircraft one of the most sought after helicopters across the heavy-lift industry. Today, only a fraction of the original production run remains in service, with Siller Helicopters operating two Tarhes, as well as two S-64 Skycranes, its civilian counterpart.